GFI EndPointSecurity lets you control the use of portable storage devices such as USB drives, iPods and PDAs on your network. With GFI EndPointSecurity you are able to prevent users from stealing confidential company data or introducing malware to your network. 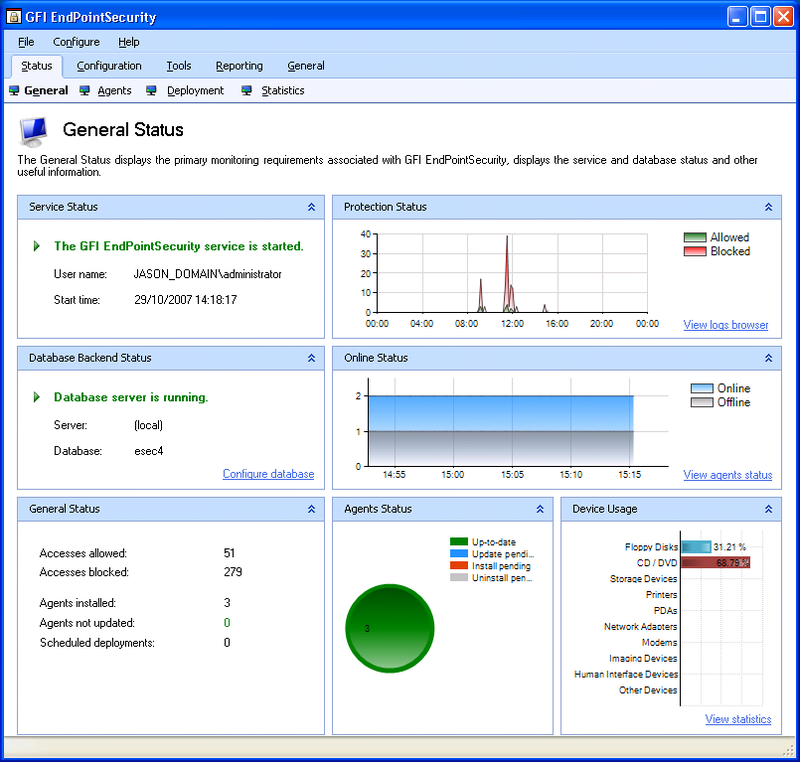 GFI EndPointSecurity supports Windows 7 and BitLocker To Go. A freeware version is also available! ...... ), USB sticks & other storage devices. It supports Windows 7, as well as BitLocker To Go. With GFI EndPointSecurity you will regain control of your network by preventing data leakage/theft through comprehensively controlling access to portable storage devices with minimal administrative effort. You will also be preventing the introduction of malware and unauthorized software on your company's network. This solution gives administrators greater control by being able to block devices by class, file extensions, physical port or device ID. It also allows administrators to grant temporary device or port access for a stipulated time-frame. high quality low cost Windows registry check and repair tool. An extremely user-friendly and highly advanced Registry cleaner - RegFix Mantra. Natasha bedingfield Free Screensaver. Photos slideshow. A great collection of Natasha Bedingfield's pictures in screensaver format. Events management solution boasting advanced event processing and filtering. Qweas is providing links to GFI EndPointSecurity 2009 as a courtesy, and makes no representations regarding GFI EndPointSecurity or any other applications or any information related thereto. Any questions, complaints or claims regarding this application GFI EndPointSecurity 2009 must be directed to the appropriate software vendor. You may click the publisher link of GFI EndPointSecurity on the top of this page to get more details about the vendor.